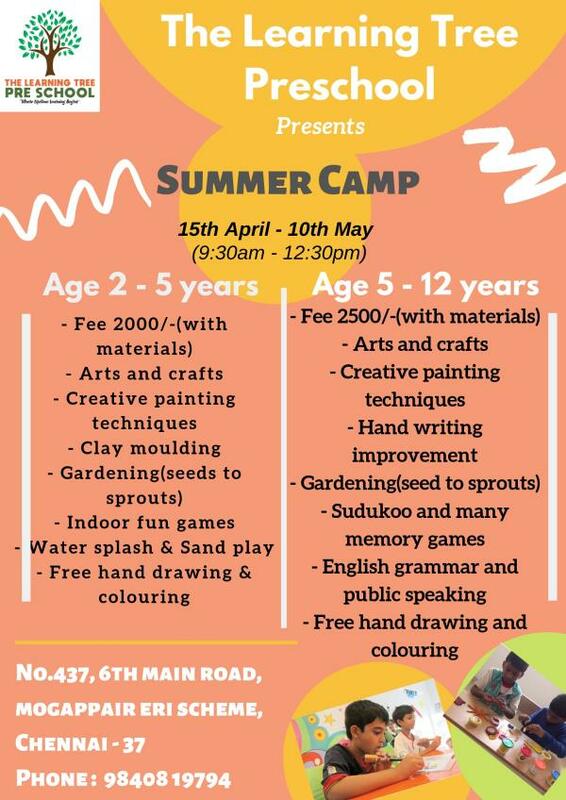 Summer camp starts from the age group 2 to 12 years. Timings 9.30 to 12.30 pm. Starts from April 15th to May 10th. Activities like arts and crafts, hand writing improvement, English grammar, personality development, drawing, colouring, gardening etc. Limited seats. Hurry up! !